University of Nebraska at Omaha, 6001 Dodge St., unomaha.edu, FREE. All week at the University of Nebraska at Omaha a weeklong program entitled “Spotlight on Islam & Muslims” has been taking place. 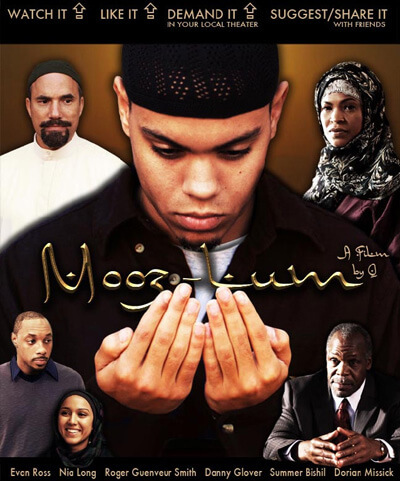 This event has been put on by The Muslim Student Association and has included a variety of activities including an ethnic food sale, a screening of the movies Moozlum and Out of Cordoba, and a discussion of Sharia Law let by Dr. Nimat Barazangi, a Research Fellow at Cornell University. Although a lot of exciting things have happened, this event isn’t over. Three exciting events that spotlight Islam & Muslims remain. First, on October 6 at 12 p.m. at Harper auditorium and Mall, Sharif Liwaru will present a lecture entitled “Roots of Islam in America!” Liwaru is Board President of the Malcolm X Memorial Foundation. Second, on October 6 at 6:30 p.m. in UNO’s Bootstrapper Hall, authors and editors Mariam Sobh and Zahra Suratwala will discuss the book I Speak For Myself: American Women on Being Muslim, a collection of short essays by 40 unique American Muslim women that Publishers Weekly called “a very useful and welcome contribution in an understudied area.” The week closes on October 7 at 11:30 a.m. in the Skutt Center Ballroom with a panel discussion on “What is common among us?” featuring representatives from the Trifaith initiative of Omaha: Rabbi Aryeh Azriel, Temple Israel; Nizam Qassem, American Institute of Islamic Studies and Culture; Rev. Ernesto Medina, Episcopal Diocese of Nebraska. Prof. John O’Keefe, Creighton University, will moderate the panel.